The 2019 Lexus GX 460’s limited active safety gear is a special order-only item. All is not what it seems with the 2019 Lexus GX 460. Beneath its soft leather and glossy wood beats the hard of an adventurer, one that’s out of sync with other luxury crossover SUVs. Look beyond the 2019 GX 460’s gleaming chrome and angular grille and its trucky roots are evident. It sits high and has big tires wrapped around its wheels. The GX 460 is the luxury-labeled, Americanized version of the Toyota Land Cruiser Prado sold globally. Overseas, that tough rig takes the UN to war zones. Over here, the GX 460 camps out at Nordstrom. The GX 460 shares its platform with the Toyota 4Runner, too, but the Lexus uses a smooth but very thirsty V-8 paired to a 6-speed automatic. 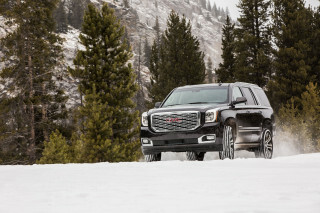 Four-wheel drive with a stump-tugging low range is standard and higher-trim versions have a crawl control system that lets them lope along at a walking pace off-road. Unfortunately, the GX’s gaping grille hangs low and will dig expensively into steep obstacles. Despite vague steering, the GX handles better on pavement than its four-wheeling capability suggests. A trick suspension setup underneath quells lean into corners. Inside, the GX’s upright dash is a feast of buttons—except on base models that lack some of the off-road doo-dads and are festooned with blanks reminding buyers they could have paid more. Base and Premium trims slather the interior in convincing, hard-wearing synthetic leather. Real hides are optional on Premium and standard on Luxury. A Mark Levinson audio system belts out tunes through 17 speakers, but don’t look for Apple CarPlay or Android Auto—you won’t find advanced smartphone compatibility. Stop hunting for advanced safety equipment, too. The 2019 GX lacks automatic emergency braking: It's the only vehicle in the Lexus lineup without the feature. Also, touches such as forward-collision alerts, adaptive cruise control, and lane-departure warnings are costly, special order-only extras on the GX 460 Luxury. The bulky 2019 Lexus GX 460 is not a stylish SUV. Even by crossover SUV standards, the 2019 Lexus GX 460 is far from a supermodel. Its wedgy grille seems at odds with bulging curves along its sides and its upright interior reveals its shared lineage with a global-market Toyota. The GX’s basic shape has been around for nearly a decade since debuting for the 2010 model year. An update a few years ago saw Lexus’ “spindle” grille grafted to its front end. The modern, sharp look is at odds with the rest of this big Lexus’ body otherwise. At the rear, its tailgate is side-hinged on the right, which makes for frustrating loading and unloading in parallel parking situations. Inside, the GX’s dashboard is upright and its seating position is close to the windshield. A smattering of buttons on the center console control its off-road modes, but only on higher-trim versions. The base GX has no shortage of blanks to remind buyers they could have spent more. Hints of wood trim on the dash give it upmarket aspirations, but overall the GX fails to impress inside. A smothering ride gives the 2019 Lexus GX a luxurious feel, but it’s not at home on a curvy road. The 2019 Lexus GX 460 rides like a proper old-school luxury 4x4, but it also steers like one. Underneath, the 2019 GX 460’s body is mounted to a separate ladder frame, something we can’t say about its unit body rivals. Its rear suspension is a truck-like solid axle suspended by coil springs, while the front suspension is independent. Preventing it from handling too much like a dump truck, the GX has a trick suspension system that uses hydraulics and massive sway bars to push down on individual wheels to keep the vehicle flat on a curvy road. It works without upsetting the ride quality, and it keeps wheel travel intact for serious four-wheeling. The system doesn’t do anything to make the GX’s light, uninformative steering any better, though. On the GX 460 Luxury, a self-leveling rear air suspension helps handle bigger loads, but the adjustable adaptive shock absorbers don’t do much to change the soft ride afforded by the SUV’s big tires with their tall sidewalls. The GX uses a 301-horsepower, 4.6-liter V-8 to shuttle power to all four wheels via a 6-speed automatic transmission. That’s not high tech, but the smooth, strong V-8 provides the GX with good power and a 6,500-pound towing capacity. The range-topping GX 460 Luxury trim level can be ordered with a crawl control system cribbed from the Toyota 4Runner that lets the big SUV lope along at a snail’s pace for off-road obstacles. The tech works well, but we’re not sure how many GX 460 owners will actually find it useful. The 2019 Lexus GX 460 has a plush interior that requires a high step in. Once passengers are aboard the high-riding 2019 Lexus GX 460, they’ll find luxurious confines with comfortable first- and second-row seats and good cargo space. Up front, outward vision is excellent and the GX’s power-adjustable seats deliver all-day comfort. They’re wrapped in synthetic leather that feels the part and should wear better than real hides. Semi-aniline leather upholstery is optional on the Premium trim and standard on the Luxury. Second-row passengers have decent space and, in the GX Premium and Luxury trims, a heated bench. Individual captain’s chairs are optional and worthwhile since the middle seat can be a relatively tight fit for three abreast. Access to the standard third row is a chore for adults, who won’t find much room back there anyway. The third row is best for kids. The GX has plentiful cargo space accessed by a tailgate that’s frustratingly hinged on the right side, making loading in an urban parallel parking space a chore. With rows two and three folded flat, the GX 460 can hold about 65 cubic feet of cargo. That’s on the low side for a larger SUV, but it’s still a lot of space. Nice materials scattered about the cabin don’t necessarily hide the GX’s utilitarian roots, but nothing feels or looks cheap. Federal and independent testers haven’t smacked the 2019 Lexus GX 460 into walls. The 2019 Lexus GX 460 hasn’t been crash-tested, so we can’t assign it a score here. The GX comes with 10 airbags and active headrests, as well as stability control. 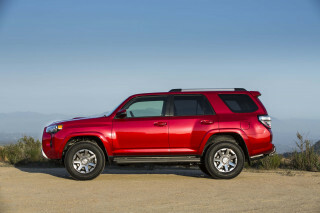 The 2019 GX is different enough from the Toyota 4Runner that we can’t carry over its scores. Unlike other Lexus models, the 2019 GX 460 isn’t available with full-speed automatic emergency braking. 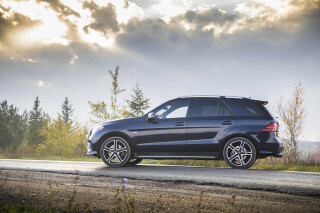 Instead, only an optional low-speed system provides some brake assist if it detects an impending collision. 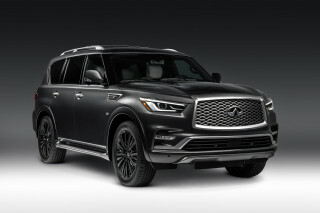 That tech, as well as adaptive cruise control and lane-departure warnings is restricted to a special-order option package that costs about $2,600 on the GX 460 Luxury. For a luxury SUV, the 2019 Lexus GX 460 lacks some important features. The base 2019 GX 460 costs about $53,000 and it has power features, 18-inch alloy wheels, 10-way power-adjustable and heated front seats, synthetic leather upholstery, and an 8.0-inch touchscreen for infotainment. Navigation costs a hefty $1,500 more, so we’d spend $650 for heated and cooled front seats and $500 for parking sensors instead. Those options are standard on the GX 460 Premium trim, which also includes three-zone automatic climate control and automatic windshield wipers for $55,750. Leather upholstery costs a reasonable $500 more. At about $64,600, the GX 460 Luxury adds an adaptive suspension, upgraded leather, power-folding third-row seats, a rear air suspension, and a few other items. Frustratingly, it’s the only GX available with a package that includes an upgraded rearview camera system, low-speed automatic emergency braking, adaptive cruise control, and a Mark Levinson audio system. At about $2,300, the package is well worth the money—but Lexus says it’s a special order-only package. We’re torn. 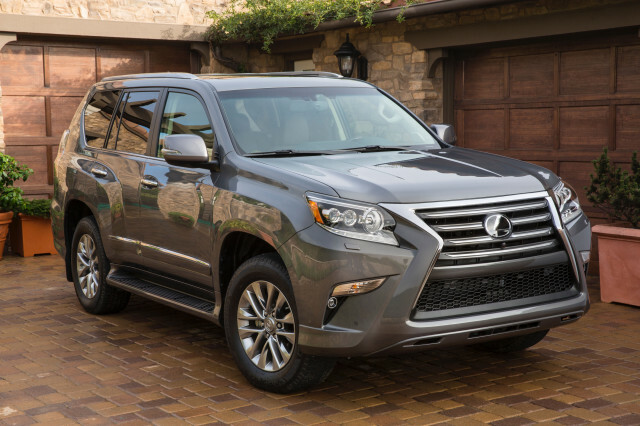 For about $67,000, the GX 460 with active safety tech is a tough sell. We’d stick with the base model instead. The 2019 Lexus GX 460 won’t pass many gas stations without stopping. 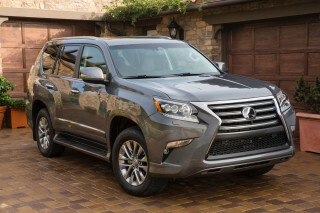 With its big V-8, the 2019 Lexus GX 460 is not a thrifty choice. That’s embarrassingly low, even in places where gas is cheap. Moreover, the GX 460 is designed to run on costly premium fuel. 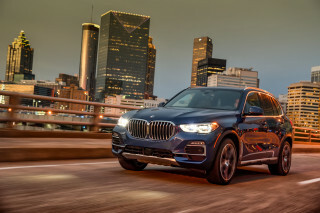 The 2019 GX is light on gas-saving features. Don’t look for mild-hybrid tech or a stop/start system because you won’t find any of that gear.